Good luck to the mission. A somewhat optimistic claim made here is that this will ‘improve our understanding of manmade climate change’ but, as the report states without noting any irony, the name of the mission is drawn from mythology. A satellite designed to measure Earth’s global wind patterns is set to be hoisted into orbit Tuesday from the Arianespace launch site in French Guiana, reports Phys.org. The European Space Agency’s (ESA) Aeolus mission—named for the guardian of wind in Greek mythology—promises to improve short-term weather forecasting and our understanding of manmade climate change. The Doppler lidar transmits short, powerful pulses of laser light toward Earth in the ultraviolet spectrum. Particles in the air—moisture, dust, gases—scatter a small fraction of that light energy back to the transceiver, where it is collected and recorded. It would appear the engineers are waking up. 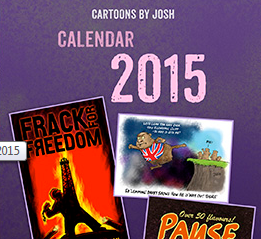 If you want to get your satellite launched just add ‘manmade climate change’ to the mission profile. /sarc. Typhoon is already close to Japan. From the blog post: Tropical winds in particular are very poorly mapped because of the almost complete absence of direct observations. 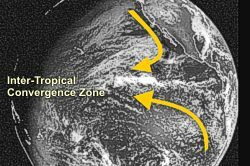 The location of the Inter-Tropical Convergence Zone is usually readily seen as a line of cumulus clouds in the tropics. This is the location where northeast winds in the Northern Hemisphere converge with the southeast winds from the Southern Hemisphere. The Inter-Tropical Convergence Zone (ITCZ – pronounced “itch”) appears as a band of clouds consisting of showers, with occasional thunderstorms, that encircles the globe near the equator. The solid band of clouds may extend for many hundreds of miles and is sometimes broken into smaller line segments. It exists because of the convergence of the trade winds. In the northern hemisphere the northeast trade winds converge with southeast winds from the Southern Hemisphere. The point at which the trade winds converge forces the air up into the atmosphere, forming the ITCZ. This is important. Long overdue. A great idea and I wish the mission every success. Missions of this nature always turn up answers to questions we didn’t even know to ask. For too long we have fooled with GCMs,but these can’t even answer the questions we think of asking. However I feel using one satellite is not enough. The need for continuous solar power for the laser is solved by flying a sun synchronous polar orbit, but this means the satellite is observing only over the advancing and retreating terminator lines. The problem here is that for near surface winds there is a diurnal cycle. For surface winds, observing near the terminator lines is observing at their weakest. Another two satellites are needed in polar orbits with 365 day equatorial drift, with equatorial separation of 120 degrees. They would need more than double the solar panels, solar tracking mechanisms for said panels, batteries to fire the laser on the 45 minute dark pass and hydrazine tanking to allow years of position corrections due to solar panel tracking disturbances. Big bucks, short lifespan. But flying over the terminator lines can’t give the whole picture. Hopefully Aeolus returns results that encourage funding for a “Aeolus 120” and a “Aeolus 240”. What a great idea! /sarc-off. 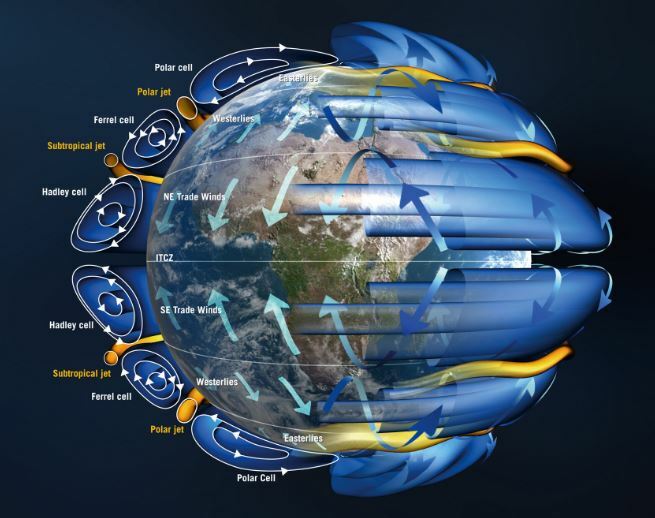 I’ve often asked about the basic energy (origins, amounts, dissipation, variations over time, etc…) of the wind as it blows the millions of tons of water over our planet. Surely this should be a basic of understanding weather and climate. I read lots of theory and seen little in the way of observations for the whole planet. How does it (wind and atmospheric water) fit into the energy model (aka Tenberth’s energy model) on both the macro and ultimate timescales. Also, all this time climate scientists™ have been pontificating about their models having all the basic physics encoded within them, when actually a little parameter, called wind, is little more than guessed at. No doubt humidity over the globe is just ‘guesstimated’ as the winds change. As I see it a thorough understanding of humidity and winds at all levels of the atmosphere are a basic requirements for being able to accurately model the climate. Modeling CO2 levels and its effects are a side show, so very much less at affecting the weather and therefore the climate. If all goes well we’ll now see how the basic models fare against the measured reality. The rocket was due to lift off on Tuesday, but the launch was postponed – ironically – due to high altitude winds.